Author: Barker, Susan Set In . . . Description: At the center of the story is Mary, a graduate student from England who has taken a job at a hostess lounge in Osaka, Japan, so that she can earn money to travel the globe. Unfortunately, she has fallen in love with Yuji, Mama-san's son, who has an uneasy alliance with the Yakuza. Watanabe, a somewhat diffident cook who works at the Sayonara Bar, has also taken an interest in Mary, and supposedly he can see into a fourth dimension, a manga-infused dimension which allows one to see danger before it happens. And then there is Mr. Sato, who has become a regular at Sayonara Bar, as he tries to escape his wife's ghost. 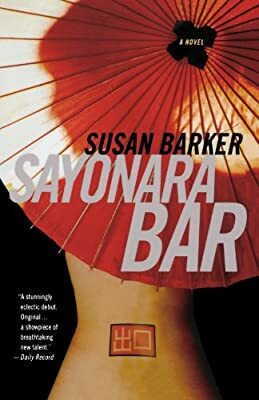 When Yuji crosses the Yakuza, it has dire consequences for them all, and their lives become irrevocably intertwined in this wonderfully imagined debut novel by Susan Barker.